Bexhill United Football Club is determined to make the most of successive league matches against bottom five opposition. 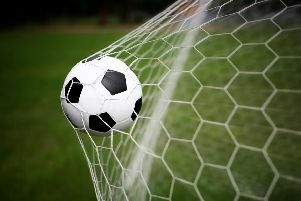 Third-placed Bexhill will travel to St Francis Rangers today (Saturday) and Oakwood next weekend in Southern Combination League Division One. Speaking after the gallant Sussex RUR Charity Cup defeat against higher grade Haywards Heath Town on Tuesday night, Bexhill manager Ryan Light said: “Tonight was a nice opportunity to play against a team from a higher grade, but our bread and butter is our league form. “Going to St Francis on Saturday is far more important to pick up three points and move into a nice position in the league (a victory would lift Bexhill up to second). “The next two Saturdays we’re at teams in the bottom five, and so far we’ve been so good against teams in the middle of the table and bottom half. Bexhill have won four and drawn one of their last five league matches, and possess the division’s best goal difference and most prolific attack. Connor Robertson is away for the next three Saturdays and Liam Foster is probably a couple of weeks from fitness, but Chris Rea should return to the squad. Southern Combination League Division One top half standings (all played 9 matches): 1 AFC Varndeanians 25pts (+20 goal difference), 2 Steyning Town 21 (+13), 3 BEXHILL UNITED 19 (+23), 4 Alfold 19 (+13), 5 Hailsham Town 18 (+15), 6 Wick 18 (+2), 7 Seaford Town 17 (+1), 8 Storrington 13 (-6), 9 Selsey 12 (-2).